"The United States is a country that can afford to eliminate hunger, poverty and homelessness. Feeding America is the most effective way to do that, and to set an example for the rest of the world. If we can provide food, shelter, and basic healthcare, education, and supportive communication, to every individual in the United States, we can create a society where every person will be able to not only thrive, but also contribute at their highest level of capacity." 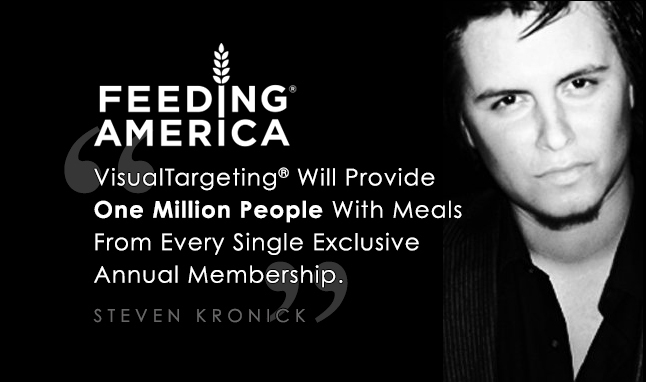 Every Exclusive Annual VisualTargeting®​ Membership will feed 1,100,000 Americans. Every Annual Membership will provide 110,000 people with meals. Every Private Commission will feed 11,000 people. Every Major Enterprise sale will feed 1,100 Americans. 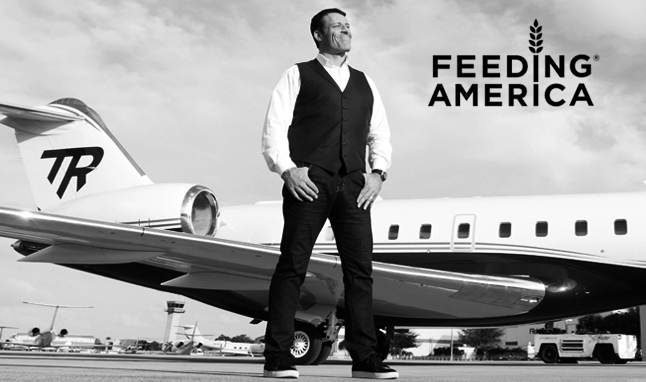 Every personal sale will feed 110 people in the United States. Steven Kronick is the Original Founder and CEO of Malibu-Based Visual Targeting Corporation, The New Industry Standard in Design, Trusted by Fortune 500's, Business Celebrities and Marketing Bestsellers, in 182 Countries.